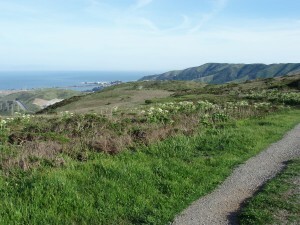 The day’s cares slide off my shoulders as I hike my favorite path on San Bruno Mountain. “Thank you,” I whisper to the cluster of wild irises adorning the blac kberry bramble. 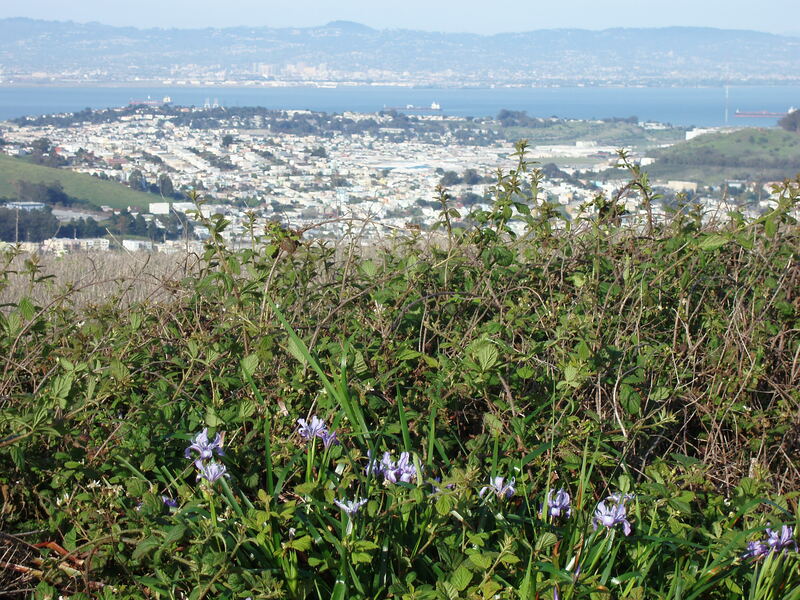 “Thank you,” again, to the white-blossomed stalks that grace the hill in its slope toward the bay. 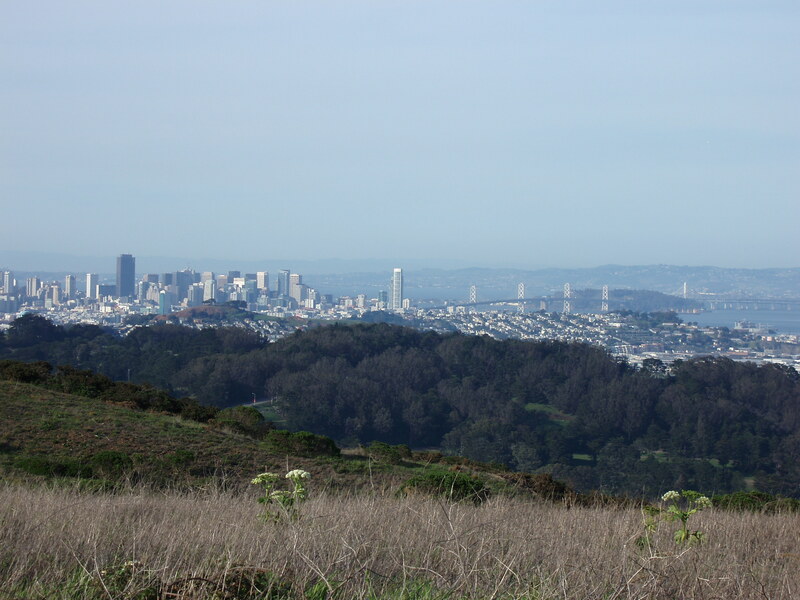 “Thank you,” to the sky that gives the bay its brilliant hue, and to the sun, and to the red dirt upon which I walk. My prayers multiply: a chorus of gratitude.